The DRC Opens Its Doors - Pennsylvania Counseling Services, Inc.
LEBANON, PA — On Friday, October 6, Lebanon County officials joined a crowd of more than 50 attendees in a ribbon-cutting ceremony to celebrate the official opening of the Lebanon County Day Reporting Center (DRC) run by Pennsylvania Counseling Services (PCS). 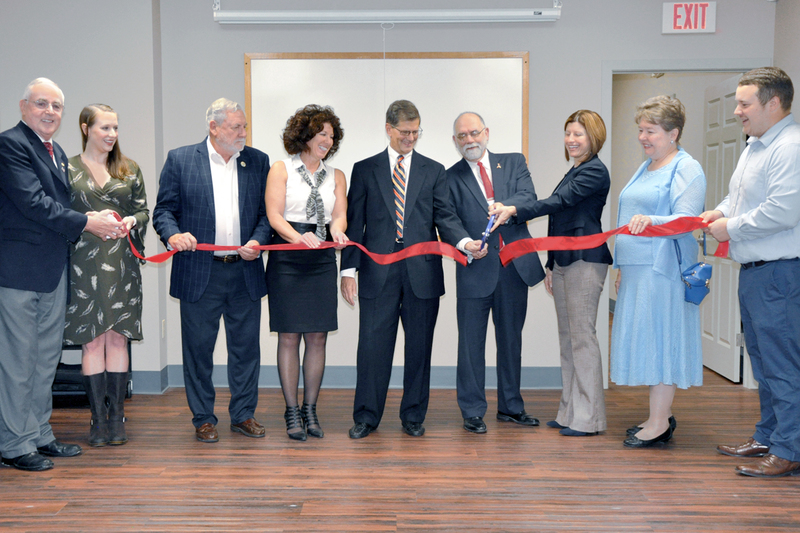 The ceremony was held at the DRC building, located at 624 Cumberland Street in downtown Lebanon, PA. The DRC is now open to Lebanon County nonviolent offenders who are referred by the court. Participants will report to the DRC for training in job skills, parenting skills, money management and other programs designed to enable long-term employment and readiness to participate in supporting themselves, their families and their community. Other speakers at the event included Kim Ernest, vice president of criminal justice and recovery programs at PCS and the DRC, Congressman Frank Ryan and Lebanon County Commissioners Bob Phillips, Bill Ames and Jo Ellen Litz. Each speaker conveyed support and a sense of accomplishment in finally opening the DRC’s doors. The DRC is equipped with a computer lab, learning resources and invested staff members to help each participant succeed. According to Kim Ernest, the DRC is ready to receive referrals and start changing lives.